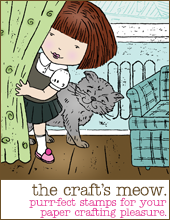 Today I am in a super fun blog hop with The Craft's Meow. We are sharing projects using the Mabelle R-O sets. If you have come from The Craft's Meow blog, you are in the right place. 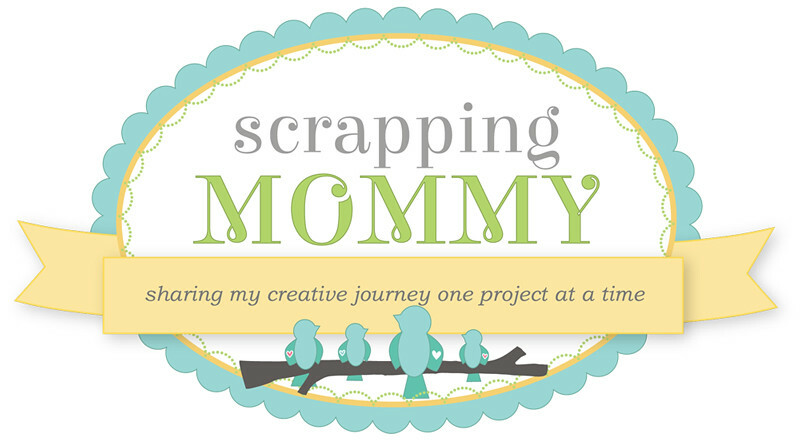 If this is your first stop, hop on back to The Craft's Meow blog to find all the details and to get started. For my card today, I used the Summertime with Fibi and Lilly stamp set and colored it in with my Copic markers and white pen highlights. So, what do you think of these adorable stamps?? 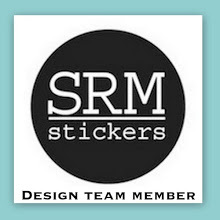 Click on the image below to go directly to them in The Craft's Meow store. One lucky commenter will get a stamp set of their choice from The Craft's Meow. leave a little love as you make your way around to each blog. on The Craft's Meow blog. Also, don't forget that today (July 7th) is the last day to receive a 20% discount on all orders through The Craft's Meow store. 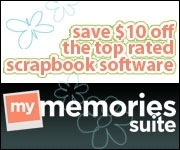 Just enter the code July4thSale at checkout after you have logged into PayPal to make your payment. **Qualifying orders still receive a free gift with your $50 net purchase and free shipping on all orders over $65 (discounted shipping for international orders). It is now time to hop on over to Angi Barr's blog to see what wonderful creation she has to share with you today using the lovely Mabelle R-O stamps. *Squeal! * Positive cuteness!! 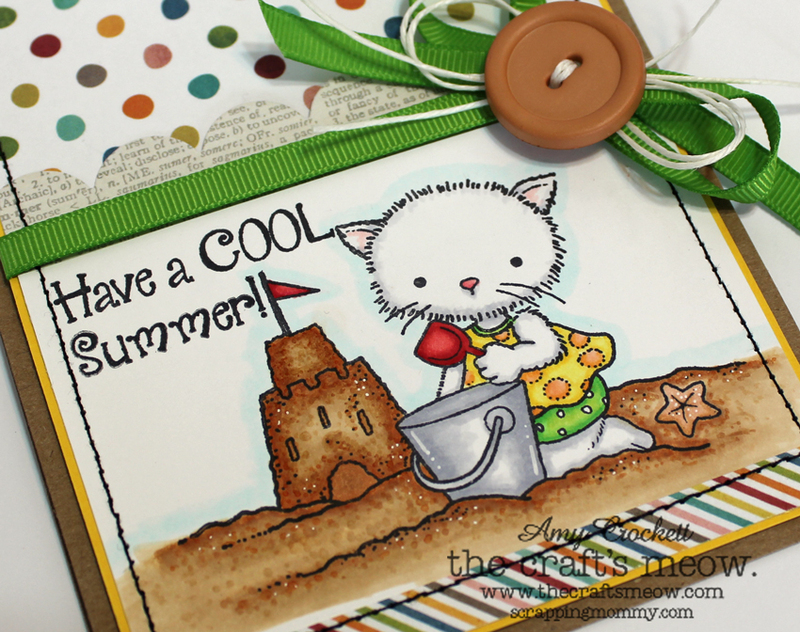 This is such an adorable and sweet summer card - love love the sandcastles! Bliss! TFS! Love the papers and colouring in your card! What an adorable card...and I LOVE that little beach kitty ! Totally cute card. That kitty is adorable. Great colouring especially the sand. Your card is so cute - I love the stamps, the papers and your coloring is so nicely done! One of my favorite sets! Your card is fabulous! How sweet! I love the colors that you chose for this card!!! Sweet card - SO cute! Cute card! I love the polka dot background. Very cute--great coloring, love the polka dots and the scalloped edge. Awesome card! You really brought the scene to life wonderfully! Thanks so much for sharing! I love the coloring and detail on the sand castle. Your bow is adorable! The coloring is very well done on this cute card. Great job. Love this sweet little card! The stamp set is darling! Really cute card and the stamps are adorable. 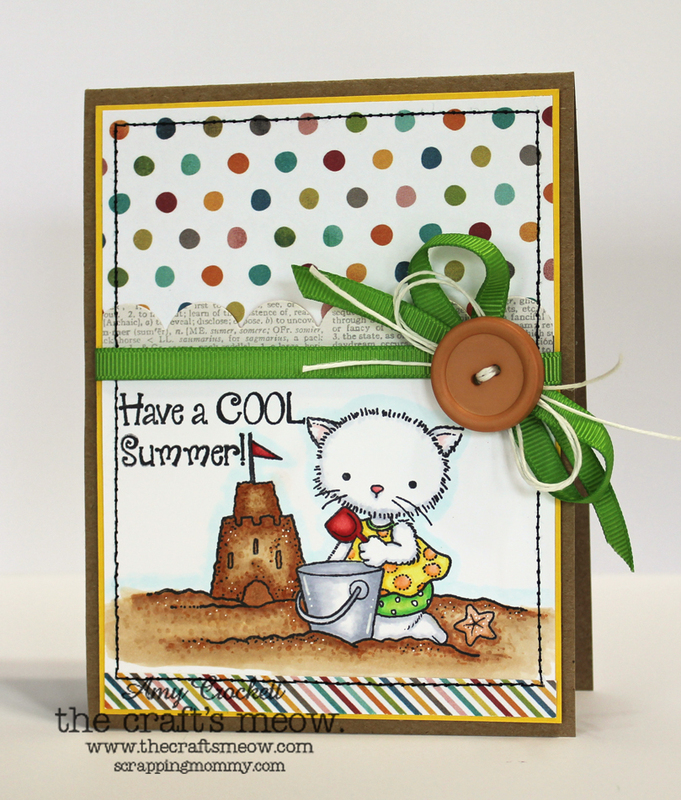 Super cute kitty and great summer card. Loved this card! Great colors and layout! I like kitties and I think this set is adorable! I like the fun font too. Wonderful job on the card design. You did a great job coloring this cute stamp. So cute! That is one "cool" kitty. Great card! Cute cards. Love the adorable kitty. What a cute card! Love your layout and green and brown palette. Thanks Amy! Darling card! Love the cute kitty! Great coloring! LOVE that stamp set! Your card is really sweet! So cute...love the design and sweet papers. This is such a cute card! I love the different patterns you used. What a sweet card! I love the paper choices and that green ribbon! Such an adorable image!!! Love kitties. :) Love how you colored it. Your card is adorable! Love the colors you used. TFS. The stamps are sooo cute. Such an adorable image, lovely design!! Love your card, great design and such a cute image! Thanks for sharing.